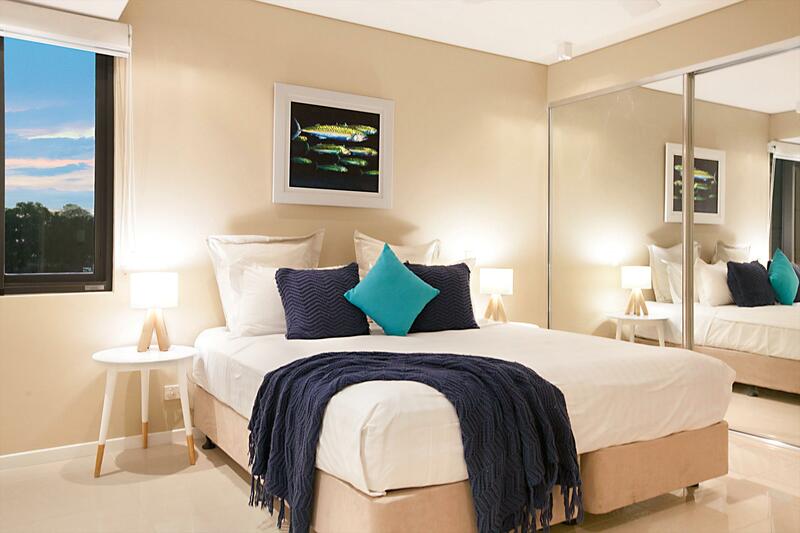 The team at Top End Short Stays offers you one of the largest property portfolios in Darwin in order for you to stay from 3 nights and up to 90 nights. 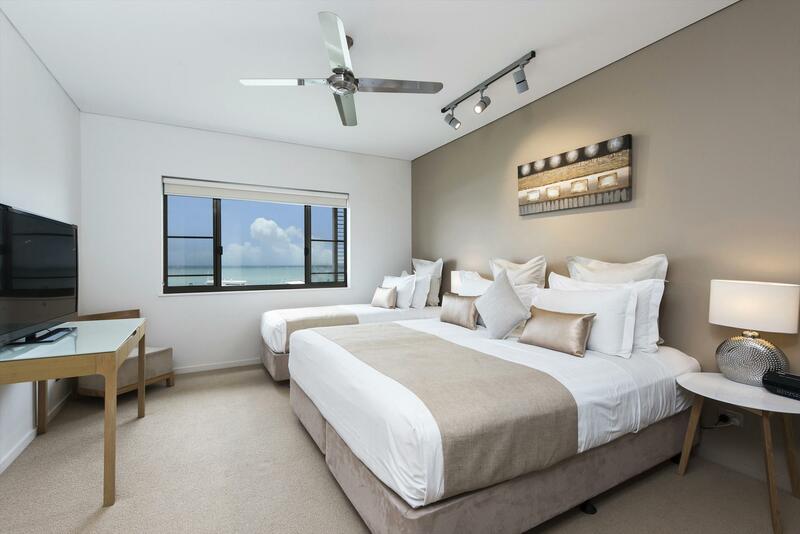 Amassing a collection of over 40 holiday apartments, from individual private rentals or from one of our 2 Award winning Self Contained Apartments – Darwin Waterfront Luxury Suites and Darwin Executive Suites. The key to our success is service and quality whether it’s budget or top of the range Darwin accommodation. Wake up to DARWINs iconic Waterfront Precinct! 1 King Bedroom Suite with amazing water views, 1 bathroom. 1 King Bed or 2 Single Beds (you choose!) Wide Screen TV & Foxtel, self contained Kitchen, Lounge, Dining, Laundry, Workstation, BBQ, balcony with water views. Wavepool onsite (fee). FREE SUPER FAST INTERNET, FOXTEL !! **FREE CAR USE WITH EVERY BOOKING! 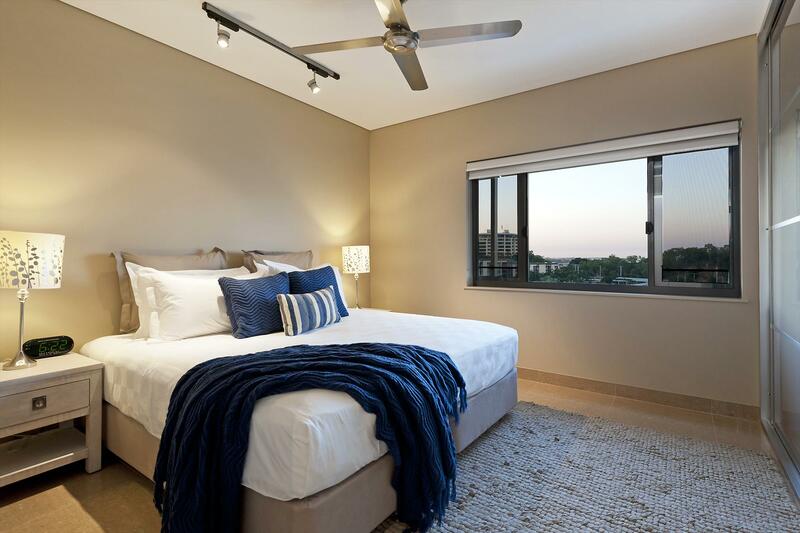 ** 1 King Bedroom Suite with amazing water views, 1 bathroom self contained luxury apartments with Kitchen & laundry facilities. 1 King Bed or 2 Single beds (you choose). Lounge / Dining / Kitchen, Wide Screen TV, Super-fast NBN WiFi Internet. Workstation, BBQ, balcony. Wavepool onsite (fee). !! ** Please advise your bedding configuration at time of booking!! - 100 Kms/day - drive to Litchfield National Park! 2 Bedroom King Bed Suites with amazing water views, 2 bathroom self contained luxury apartments with Kitchen & laundry facilities. 2 King Beds + 1 Single Bed or 5 Single Beds (you choose). Lounge / Dining / Kitchen,Wide Screen TV & Foxtel, Super fast WiFi Internet, Workstation, BBQ, balcony. Wavepool onsite (fee) Amazing Water Views! **FREE CAR USE WITH EVERY BOOKING! ** 2 King Bedroom Suite, with 2 bathroom self contained luxury apartment with Kitchen & laundry facilities. 2 King Bed + 1 Single Bed or 5 Single beds (you choose). Sleeps 5. Lounge / Dining / Kitchen, Wide Screen TV, Super-fast NBN WiFi Internet. Workstation, BBQ, balcony. Wavepool onsite (fee). !! 3 Bedroom King Bed Suites with amazing water views, 2 bathroom self contained luxury apartments with Kitchen & laundry facilities. 3 King Beds + 1 Single Bed or 7 Single Beds (you choose). Lounge / Dining / Kitchen, Wide Screen TV & Foxtel, Super fast WiFi Internet, Workstation, BBQ, balcony. Wavepool onsite (fee) Amazing Water Views! 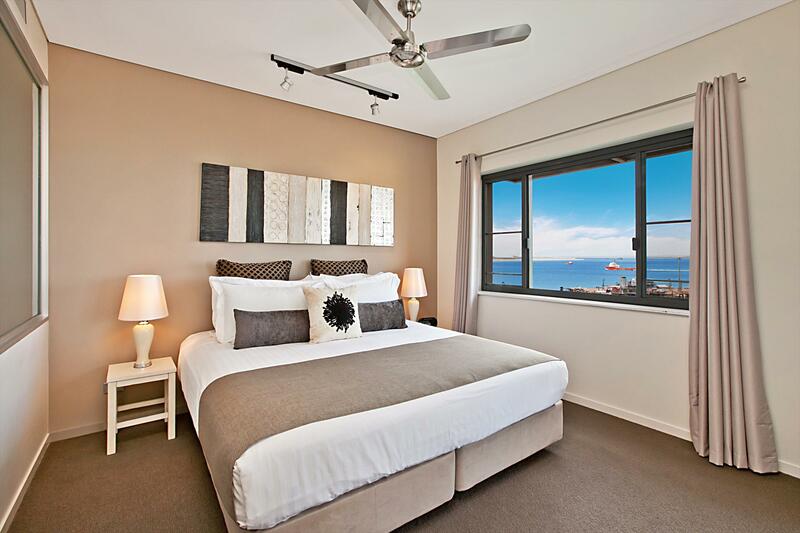 ** CAR & ACCOMMODATION PACKAGE** Wake up to DARWINs iconic Waterfront Precinct! Our newest addition to the portfolio at the Waterfront. 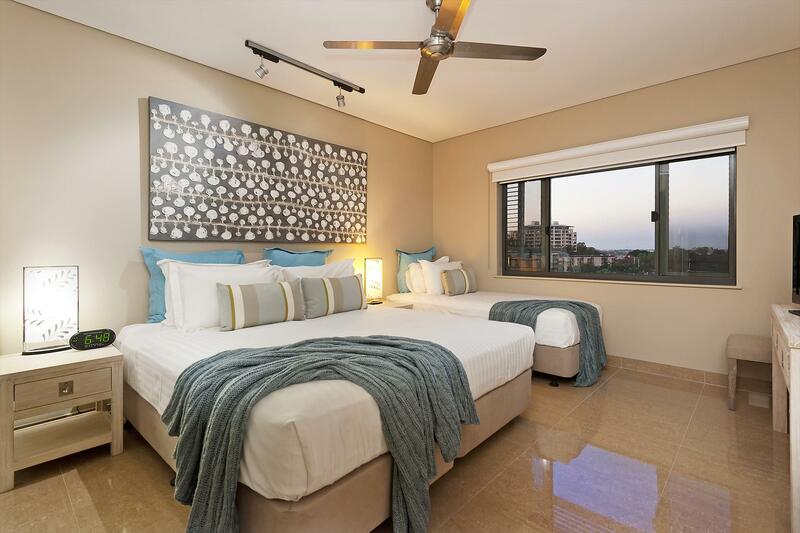 This 2 Bedroom apartment with Lagoon Views and FREE CAR is perfect for the family of 4, two couples or corporate people looking to stay in style at the Waterfront. 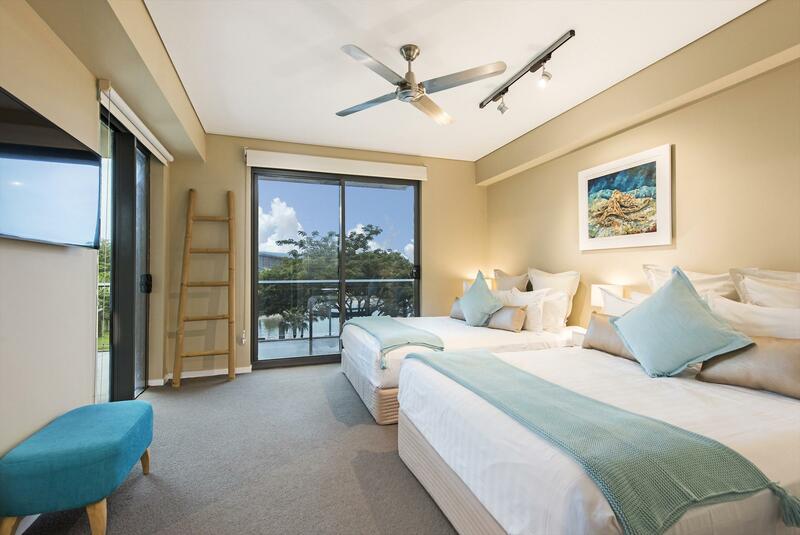 Sleeping 4 comfortably this apartment offers large kitchen, separate lounge with LCD TV, Dining for 4 persons, and an outdoor balcony to entertain from -perfect for overlooking the harbour, or watching those fantastic storms roll in! !